Don't have a measuring cup? Just eyeball it. 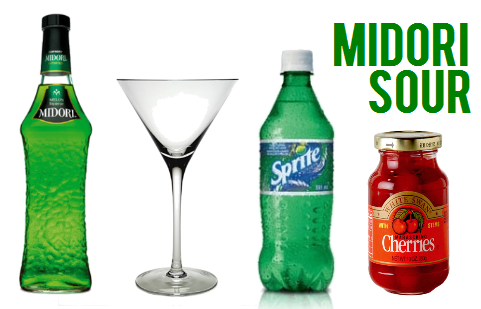 Add about 25% Midori, 50% Sprite, and 25% whiskey sour mix. As always, don't drink and drive.